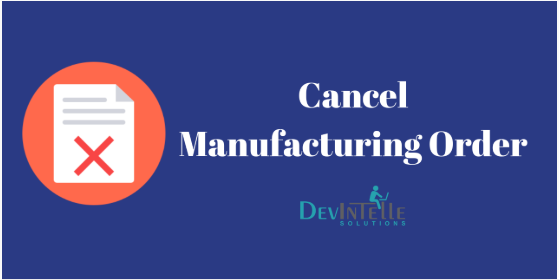 Cancel Manufacturing Order » DevIntelle Consulting Service Pvt Ltd. In Small OR Giant business, they all have concern about Cancel Manufacturing order / Order cancellation. Let’s First understand “WHAT IS CANCELED ORDER” ? A CANCELED ORDER is previously submitted order to buy or sell but that gets canceled before it executes. It’s easy to cancel the order before it executes but it’s length process to cancel the order after being done. So, for this concern we’re here to help you.! 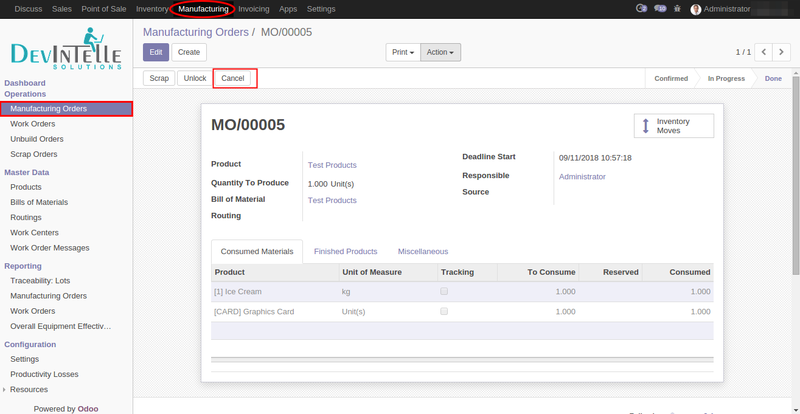 “Manufacture Order cancel” Odoo Module is used to cancel the Manufacturing order after being done and again set it to “Draft” and update the quantity for same. 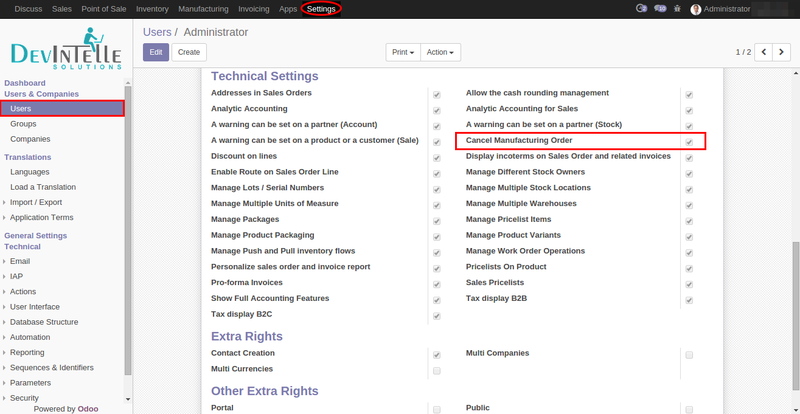 Have option of canceling the manufacturing order in done stage. After cancel the manufacturing order the manufacturing order will be in draft stage. 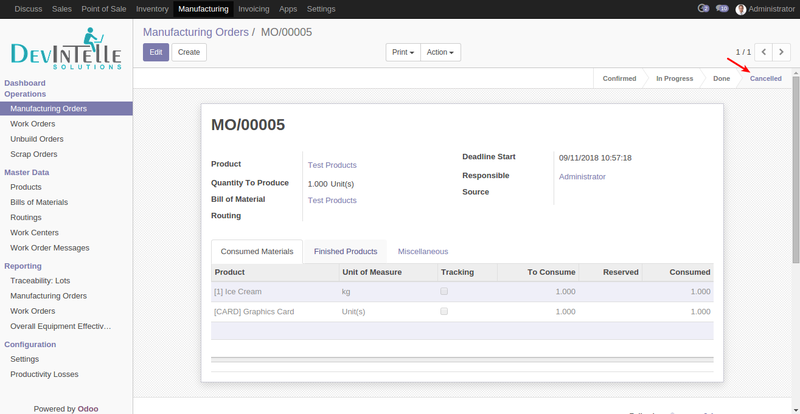 so you can delete/update that manufacturing order.